The neo-Renaissance edifice of the Artus House dates from 1891, but, as a matter of fact, it has been modelled on the former Artus House of 1386. The former building, renovated during the Renaissance in 1626 and during the Baroque in 1701, was one of the most impressive secular buildings in the city. It was the seat of St. George Brotherhood, active in Toruń between 1311 and 1842, and other so-called ‘brotherhoods of the bench’ (which followed the tradition of sharing the same bench). Brotherhoods of this kind existed in all major cities of Hanseatic Europe and, in particular, in the Teutonic state. no sightseeing. The city authorities have decided to put there a cafeteria and the Municipal Instiutution of Culture instead of making it available for tourists. Artus Courts were established in places connected with the Teutonic Order. They brought together merchants and patriciate who felt the need for ennoblement, following chivalric traditions and being distinguished form the burgher class – the rich and middle-class merchants and craftspeople. 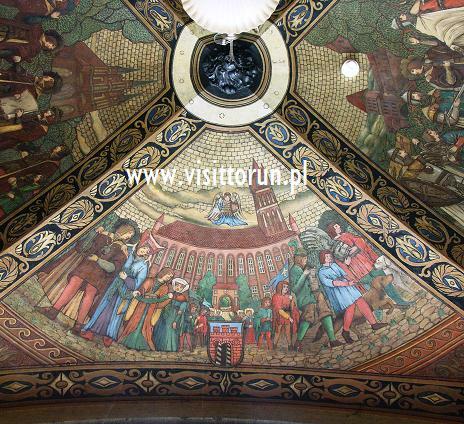 Artus Courts were usually used by several Brotherhoods of the Bench, (in the 15th century there were three such brotherhoods in Toruń) which were united around the shared ideology pertaining to King Arthur (Artus). The most elitist Artus Court user was the Brotherhood of St. George, which owned the bench of St. George by the eastern wall and left of the entrance. The first Artus Court in Toruń was erected in 1386. 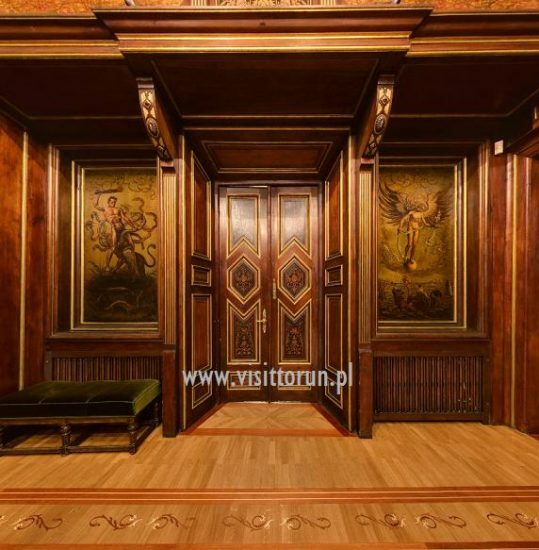 Following its reconstruction in the Renaissance and Baroque in 1626 and 1701 respectively, the building looked truly magnificent and rich on its Gothic foundation, its façade beautifully ornamented with allegories and symbols. Unfortunately, it was dismantled and replaced by the present-day Artus Court in 1891. 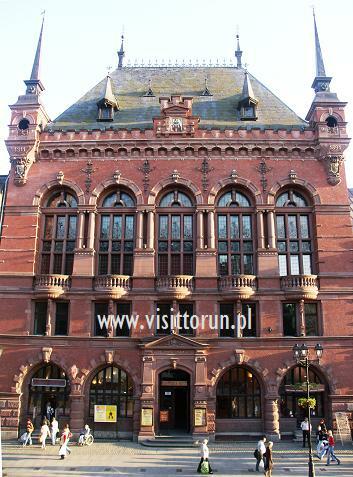 Artus Court was the leading social centre of old Toruń. Situated in the Old Market Square, in the very centre of the city near the Old City Town Hall, it was the heart of the social and political life. 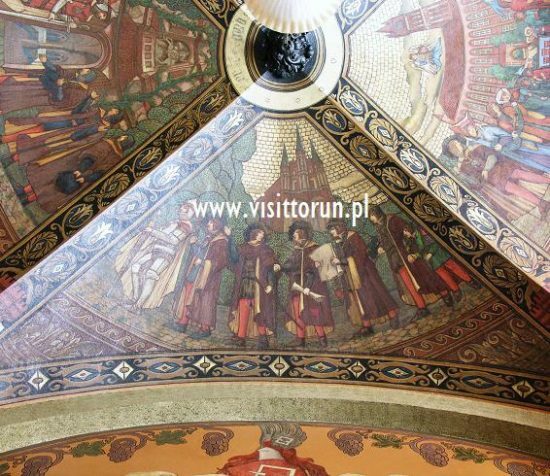 It was in Artus Court that King Casimir Jagiellon and the Grand Master of the Teutonic Order, Ludwig Erlichshausen, signed the Second Peace of Toruń in 1466, concluding the Thirteen Years’ War and putting an end to the Teutonic state in its former shape. Three most important cities of the Teutonic state, Toruń, Gdańsk and Elbląg, along with the autonomous province of Royal Prussia, were incorporated into the Kingdom of Poland. It was also in Artus Court that some of the Prussian dietines were held, the units wielding power in the province. Unfortunately, the lavish furnishings of the former Artus Court, known only by description, did not survive. Today, there are handsomely embellished halls, which perform a representative function and provide a place for important formal meetings. Picture of the Artus House before the year 1802.